Revolution Analytics has of course had RevoDeployR, and in a webinar strive to bring it back to center spotlight. ( I still think someone should make a commercial version of Jeroen Oom’s web interfaces and Jeff Horner’s web infrastructure (see below) for making customized Business Intelligence (BI) /Data Visualization solutions , UCLA and Vanderbilt are not exactly Stanford when it comes to deploying great academic solutions in the startup-tech world). I kind of think Google or someone at Revolution should atleast dekko OpenCPU as a credible cloud solution in R.
I still cant figure out whether Revolution Analytics has a cloud computing strategy and Google seems to be working mysteriously as usual in broadening access to the Google Compute Cloud to the rest of R Community. The Google Visualization API is a great way for people to make dashboards with slick graphics based on data without getting into the fine print of the scripting language itself. It utilizes the same tools as Google itself does, and makes visualizing data using API calls to the Visualization API. Thus a real-time customizable dashboard that is publishable to the internet can be created within minutes, and more importantly insights can be much more easily drawn from graphs than from looking at rows of tables and numbers. There are 12 kinds of charts available in the Chart Gallery (https://developers.google.com/chart/interactive/docs/gallery) . Within the Callback – It creates and populates a data table, instantiates the particular chart type chosen, passes in the data and draws it. Create the data table with appropriately named columns and data rows. 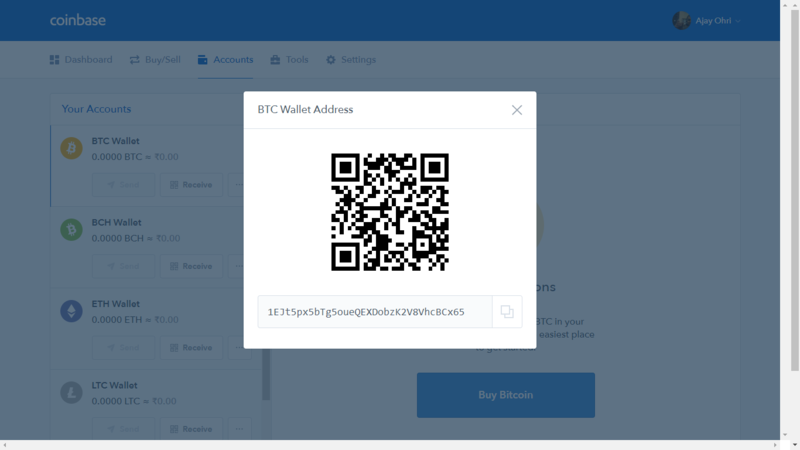 You can simply copy and paste the code directly from https://developers.google.com/chart/interactive/docs/quick_start without getting into any details, and tweak them according to your data, chart preference and voila your web dashboard is ready! First launched in Mar 2008, Google Visualization API has indeed come a long way in making dashboards easier to build for people wanting to utilize advanced data visualization . It came about directly as a result of Google’s 2007 acquisition of GapMinder (of Hans Rosling fame). As invariably and inevitably computing shifts to the cloud, visualization APIs will be very useful. Tableau Software has been a pioneer in selling data visualizing to the lucrative business intelligence and business dashboards community (you can see the Tableau Software API at http://onlinehelp.tableausoftware.com/v7.0/server/en-us/embed_api.htm ), and Google Visualization can do the same and capture business dashboard and visualization market , if there is more focus on integrating it from Google in it’s multiple and often confusing API offerings. However as of now, this is quite simply the easiest way to create a web dashboard for your personal needs. Google guarantees 3 years of backward compatibility with this API and it is completely free. Shouldnt Tor be embedded within the next generation of Loic. We provide the public with investigative reports exposing corrupt companies. Our team includes analysts, forensic accountants, statisticians, computer experts, and lawyers from various jurisdictions and backgrounds. All information presented in our reports is acquired through legal channels, fact-checked, and vetted thoroughly before release. This is both for the protection of our associates as well as groups/individuals who rely on our work. So the cover art is ready, and if you are a reviewer, you can reserve online copies of the book I have been writing for past 2 years. Special thanks to my mentors, detractors, readers and students- I owe you a beer! 2012, 2012, XVI, 300 p. 208 illus., 162 in color. 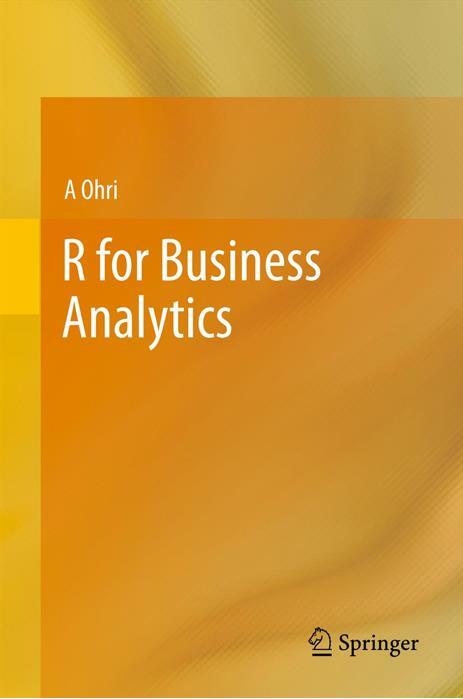 R for Business Analytics looks at some of the most common tasks performed by business analysts and helps the user navigate the wealth of information in R and its 4000 packages. With this information the reader can select the packages that can help process the analytical tasks with minimum effort and maximum usefulness. The use of Graphical User Interfaces (GUI) is emphasized in this book to further cut down and bend the famous learning curve in learning R. This book is aimed to help you kick-start with analytics including chapters on data visualization, code examples on web analytics and social media analytics, clustering, regression models, text mining, data mining models and forecasting. The book tries to expose the reader to a breadth of business analytics topics without burying the user in needless depth. The included references and links allow the reader to pursue business analytics topics. 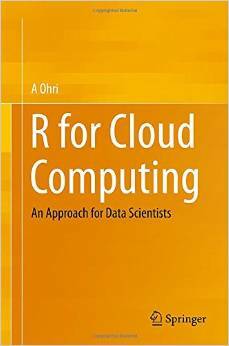 This book is aimed at business analysts with basic programming skills for using R for Business Analytics. Note the scope of the book is neither statistical theory nor graduate level research for statistics, but rather it is for business analytics practitioners. Business analytics (BA) refers to the field of exploration and investigation of data generated by businesses. Business Intelligence (BI) is the seamless dissemination of information through the organization, which primarily involves business metrics both past and current for the use of decision support in businesses. Data Mining (DM) is the process of discovering new patterns from large data using algorithms and statistical methods. To differentiate between the three, BI is mostly current reports, BA is models to predict and strategize and DM matches patterns in big data. The R statistical software is the fastest growing analytics platform in the world, and is established in both academia and corporations for robustness, reliability and accuracy. Here is an interview with Hjálmar Gíslason, CEO of Datamarket.com . DataMarket is an active marketplace for structured data and statistics. Through powerful search and visual data exploration, DataMarket connects data seekers with data providers. Ajay- Describe your journey as an entrepreneur and techie in Iceland. What are the 10 things that surprised you most as a tech entrepreneur. HG- DataMarket is my fourth tech start-up since at age 20 in 1996. The previous ones have been in gaming, mobile and web search. I come from a technical background but have been moving more and more to the business side over the years. I can still prototype, but I hope there isn’t a single line of my code in production! So clearly the space is both competitive and yet the demand for public data repositories is clearly under served still. How does DataMarket intend to address this market in a unique way to differentiate itself from others. DataMarket.com allows all this data to be searched, visualized, compared and downloaded in a single place in a standard, unified manner. We see many of these efforts not as competition, but as valuable potential sources of data for our offering, while others may be competing with parts of our proposition, such as easy access to the public data sets. Ajay- What are your views on data confidentiality and access to data owned by Governments funded by tax payer money. HG- My views are very simple: Any data that is gathered or created for taxpayers’ money should be open and free of charge unless higher priorities such as privacy or national security indicate otherwise. Reflecting that, any data that is originally open and free of charge is still open and free of charge on DataMarket.com, just easier to find and work with. Ajay- How is the technology entrepreneurship and venture capital scene in Iceland. What things work and what things can be improved? HG- The scene is quite vibrant, given the small community. Good teams with promising concepts have been able to get the funding they need to get started and test their footing internationally. When the rapid growth phase is reached outside funding may still be needed. There are positive and negative things about any location. Among the good things about Iceland from the stand point of a technology start-up are highly skilled tech people and a relatively simple corporate environment. Among the bad things are a tiny local market, lack of skills in international sales and marketing and capital controls that were put in place after the crash of the Icelandic economy in 2008. I’ve jokingly said that if a company is hot in the eyes of VCs it would get funding even if it was located in the jungles of Congo, while if they’re only lukewarm towards you, they will be looking for any excuse not to invest. Location can certainly be one of them, and in that case being close to the investor communities – physically – can be very important. We’re opening up our sales and marketing offices in Boston as we speak. Not to be close to investors though, but to be close to our market and current customers. Ajay- Describe your hobbies when you are not founding amazing tech startups. HG- Most of my time is spent working – which happens to by my number one hobby. It is still important to step away from it all every now and then to see things in perspective and come back with a clear mind. I *love* traveling to exotic places. Me and my wife have done quite a lot of traveling in Africa and S-America: safari, scuba diving, skiing, enjoying nature. When at home I try to do some sports activities 3-4 times a week at least, and – recently – play with my now 8 month old son as much as I can. Hjálmar Gíslason, Founder and CEO: Hjalmar is a successful entrepreneur, founder of three startups in the gaming, mobile and web sectors since 1996. Prior to launching DataMarket, Hjalmar worked on new media and business development for companies in the Skipti Group (owners of Iceland Telecom) after their acquisition of his search startup – Spurl. Hjalmar offers a mix of business, strategy and technical expertise. DataMarket is based largely on his vision of the need for a global exchange for structured data. C2I stands for command, control, and intelligence. C3I stands for command, control, communications, and intelligence. C4I stands for command, control, communications, computers, and (military) intelligence. I increasingly believe that cyber conflict will develop its own terminology and theory and paradigms in due time. In the meantime, it will adopt paradigms from existing military literature and adapt it to the unique sub culture of cyber conflict for both offensive, defensive as well as pre-emptive actions. Here I am theorizing for a case of targeted hacking attacks rather than massive attacks that bring down a website for a few hours and achieve nothing but a few press headlines . I would also theorize on countering such attacks. This will be the senior executives including the members of board, legal officers, and public relationship/marketing people. Their name is available from corporate websites, and social media scraping can ensure both a list of contact addresses (online) as well as biases for phishing /malware attacks. This could also include phone (flooding or voicemail hacking ) attacks , and attacks against the email server of the company rather than the corporate website. Most corporates have an in-house research team, they can be easily targeted using social media channels, but also offline research and digging deep. Targeting intelligence corps of the target corporate is likely to produce a much better disruption. Eventually they can be persuaded to stop working for that corporate. Computers– Anything that runs on electricity and can be disabled – should be disabled. This might require much more creativity than just flooding. surveillance- This can be both online as well as offline, and would be of electronic assets, likely responses for the attack, and the key people who are to be disrupted. study your target companies, target employees, and their strategies. Then segment and prioritize in a list of matrix of 10 to 10, who is more vulnerable and who is more valuable to attack.